the church of san marco is one of the most important places in milan for its history and artworks. the gothic shapes of 1254 evolve to baroque. located in the brera district, the church has excellent acoustics: the rectory of the church of san marco housed the young mozart. on the twenty-second of may 1874 giuseppe verdi conducted the first ever performance of the requiem service. its precious organ is still today a protagonist in the musical activities of the city. 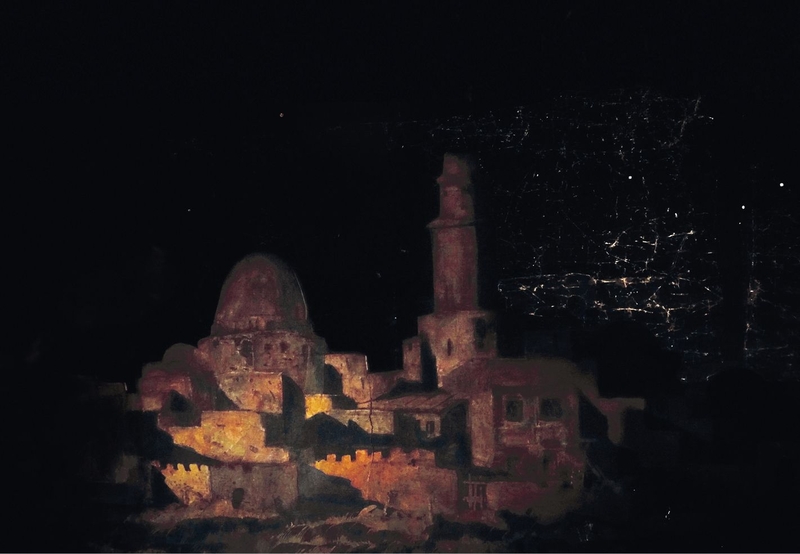 the master of light studies and reads with care the nativity scene of francesco londonio, to whom he is close on a common vision: light reveals reality, tells stories hidden by ancient stones. mario nanni lets the paintings emerge, waking up with direction the details. 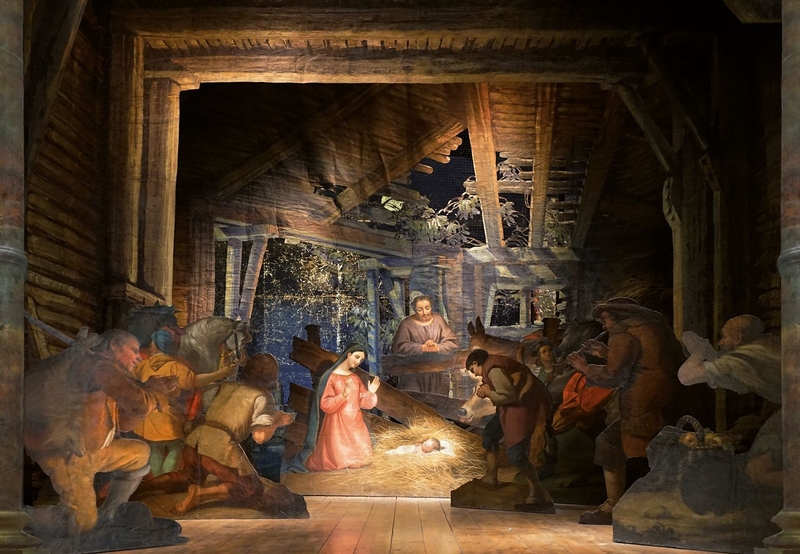 the nativity scene has a scenographic strength: it is placed in a chapel and is framed by architectural elements with an effect that recalls the suggestions of the foghetti theatre. as from the proscenium of a theatre, the characters, in real size, are alive and monumental. the story told is composed of two scenes. above the nativity scene: the sacred family is surrounded by shepherds. below: the wise men come for adoration, here is the epiphany. 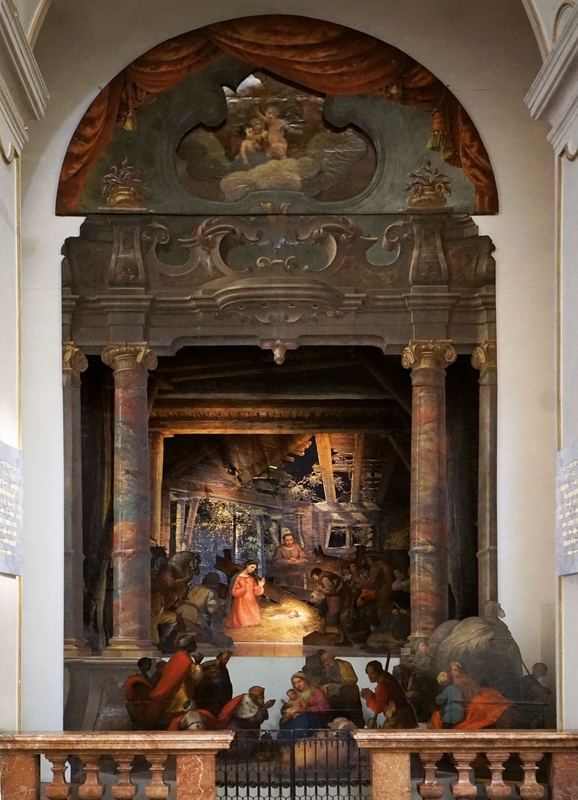 the double representation of londonio is unique in the italian nativity scene panorama. the two scenes are related yet distinct in space, because they are separated in time: the wise men will arrive on january 6th, guided by the comet star, light that directs and illuminates the way; at the bottom, between the gaps of the hut, the dark night awaits the new light. before the chapel, before the proscenium of londonio, the backdrop of the upper scene lights up: the light of the world is born, jesus the child, the new light, the true light. here are giuseppe, absorbed and thoughtful before so much mystery. here are the shepherds, the first to be called by the angels. their simplicity brings them closer to the enchantment and infinite beauty of the event before the others. adoring and amazed, the light of the god child floods them. the light project of mario nanni is now leading the history. 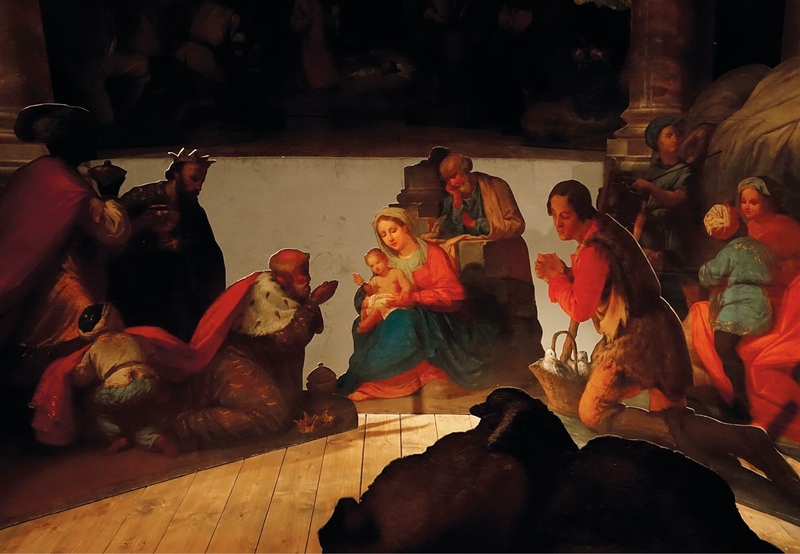 in the upper register of the scene, the worship of the shepherds fades into a soft light. in the foreground, slowly, the figures of the three wise take shape: the young, the mature, the old men; the three ages of man advance sumptuously. the wise men bring rich gifts. the saviour of the world is a child in his mother’s arms and giuseppe guards him. mario nanni draws from the shadow the sacred sense of the incarnate mystery. man among men, god enters history: ‘the excitement of nothingness reveals the true light’.